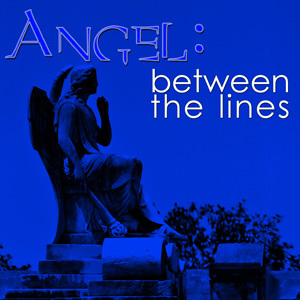 YAY so happy to have Angel Between the Lines in my podcast feed again. This was a great/fun episode! Everyone did such a great job, Glen! I loved the ending song. The “cake or death” comment … made me giggle. These two episodes were fantastic! Really enjoyed them. Great writing, excellent voice work. Glen Bartram did an amazing job as Lorne, absolutely impressive! Nearly had me crying towards the end of the episode, and I am not usually that moved by voice acting. Lorne is really cool character, and I don’t think I realized that before I listened to these two episodes. Seriously, I had SUCH a great time recording for this episode! Thanks, everybody for the great comments. I’m glad you all enjoyed it!